For nearly ten years Congress, the ruling party at the centre brushed aside demands for a separate Telangana state. This is the fourth time that the issue has become a national political issue since the formation of Andhra Pradesh in 1956. Political leaders and parties either raised the demand for a separate state or supported agitations purely based on electoral considerations. Marri Chenna Reddy’s somersaults on the issue are a case in point. 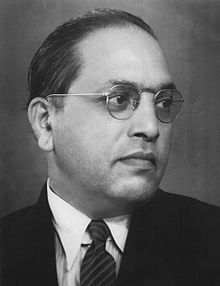 In 1956 he was for a united Andhra Pradesh. He later changed his stance and became a votary of a separate Telangana state. In 1968 the AP High Court annulled his election to the state assembly and debarred him from contesting elections for six years. ‘Vandemataram’ Ramachandra Rao of the Arya Samaj (and later the BJP) challenged Chenna Reddy’s election on the grounds that he appealed to the religious sentiments of the Muslims. (See Election Law Reports Volume XXXVII p 269 - 349). The judgement was upheld by the Supreme Court. Forced out of electoral politics he floated the Telangana Praja Samithi (TPS) to remain relevant in politics. His TPS won 10 Lok Sabha seats in the 1971 general election. After his return to electoral politics and after being suitably rewarded by the Congress party he merged his TPS with the Congress. In 2001 Chandra Babu Naidu walked into a trap cunningly laid by Y S Rajasekhara Reddy. CBN had a problem in that he had too many claimants from the Velama community and too few cabinet berths. But those were heady days for him. The blemish of back-stabbing his father-in-law was behind him and he returned to power for a second time in 1999, riding on the coat tails of Atal Behari Vajpayee. Confident he would be able to contain the fallout he relegated K. Chandrasekhara Rao to the post of Deputy Speaker. With a deft Machiavellian stroke YSR inveigled KCR to come out of the TDP and form a new party. Thus was the TRS born. YSR aligned with the TRS just before the 2004 general election, with a promise to help the formation of the Telangana state, a promise which he had no intention of keeping. During his tenure (and life) he had repeatedly proved that the demand for Telangana did not enjoy popular support. The TRS’ tally in the state assembly and local bodies had continually declined. In 2009 CBN wanted to do a YSR but he lacked the latter’s deft touch and perhaps his finesse. After tasting power and been in office for nine years Chandra Babu Naidu could not stomach the 2004 defeat. He should have taken it in his stride. A good leader does not sacrifice his core beliefs for temporary gains. But that was what CBN did. By 2009 CBN was ready to walk up a wall if it would make him 'CEO' again. Seeking to make substantial inroads into Telangana and probably misled by the overconfidence of his own regional leaders he blundered into an alliance with the TRS. However, during the closing phases of the election campaign KCR deserted CBN and walked into the NDA camp but that was a different matter. At this time, the TDP gave its consent for the formation of the Telangana state. It was CBN’s somersault that breathed new life into the Telangana agitation, which was getting nowhere, and forced the Congress party’s hand. It also brought matters to a head from which there was no return. Therefore the people of Seema-Andhra will have to thank CBN for the bifurcation of the state. Till then, YSR’s view on the issue prevailed and the Congress was against the formation of the new state. It did not have to pronounce its stand, the excuse being the state’s principal opposition party was opposed to the formation of the Telangana state. CBN’s consent for Telangana and YSR’s death in September 2009 changed the political dynamics and in a way foreclosed the issue. K. Rosaiah who succeeded YSR as the interim Chief Minister could not withstand the political turmoil caused by KCR’s fast unto death on the one hand and YSR’s son’s revolt within the party on the other. Based on his recommendation the centre was forced to concede the demand for the new state. The ‘victory’ made KCR a hero in Telangana. For the centre, there was no going back and it was only a matter of time before a decision had to be taken. The stand of the CPM on the Telangana issue was true to its character, Janus-faced. The party could always reconcile diametrically opposite views. While as a principle it opposed formation of new states, it would not oppose the formation of Telangana if the centre wished to do so. Just before the 2009 election, the wily YSR struck with another of his machinations. This time he contrived the formation of Chiranjivi’s PRP. Had he been alive the merger of the PRP with the Congress would have been sooner. But his calculation was right. 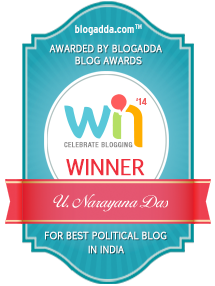 The PRP splintered anti-Congress votes and Congress was returned to power. When in alliance with the TDP, the BJP stoutly argued against the bifurcation of the state. After the TDP severed its ties with the BJP, ostensibly because it lacked secular credentials (which the TDP seems to have suddenly discovered!) the BJP reverted to its advocacy of smaller states. Both the parties now find themselves in a quandary in the Seema-Andhra region and do not know how to come out of it. Why did the Congress party which has been dillydallying on Telangana for more than four decades suddenly awake to the need for decisive action? It doesn’t require great intelligence to find an answer. As many political analysts opined, it is based on electoral calculations for 2014. However it is the behavior of its Seema-Andhra leaders that is far from exemplary. They knew for quite some time that the decision to split the state was in the offing. Yet, lured by the crumbs of power thrown at them, they pretended that it was not happening and fooled their constituents. They have underestimated the emotional attachment their constituents have with Hyderabad (it is all about Hyderabad!). ‘You cannot fool all the people all the time’, might be a cliché but it is nevertheless true. Excellent and agree to most of your views. BJP is not against formation of Telangana during NDA stint when it created 3 other states in 2000. Telangana demand is almost non-existent then and has a support of very minimal no. of MLAs/MPs. BJP unable to create Telangana, bcoz it knows it cant be passed in assembly and also NDA require support of 29 MPs from TDP which is headed by CBN who is opposing bifurcation of AP. Moreover Telangana issue is unique when compared with any other separate statehood demand as here the area which consists capital wants to separate from rest of the state unlike vidarbha/gurkhaland or etc. Tyranny of distance cant be blamed. If anything to blame, its the uselessness of leaders of the region. Hence, Advani suggested that, solutions like spl. economic package, implementaion of 601 etc etc can be used to develop the region rather than bifurcating the state. I still feel, it could be done with a united leadership of the region fighting for such things rather than fighting with each other and blaming ppl of other regions. But, thats a different story. If you consider voting patterns in 2004 & 2009, Telangana is not an issue in both the regions in both the elections. But, after the untimely death of YSR, Congress failed to handle the issue and made KCR a hero out of nothing. I dont agree that every party has betrayed seema andhra people and I dont even blame parties. If any one I have to blame, its the people, who betrayed themselves. In Both elections 2004 & 09 they have elected congress with bumper majority. Even in 2014 elections they are going to vote for some drama-bazz. People betrayed TDP in 2009 and voted for a new player like PRP. Again in 2014, they will opt for YSRCP and history repeats. Flip-flops of CBN might also be one of the reasons for breach of trust. Either Congress, TDP or BJP opting for Telangana is only because of recklessness of people from seema andhra region. Even today, if employees have not taken the initiative, public would remain silent.